Overdue fines keeping you from using the public library? Take care of them with canned goods from your pantry! For one week, patrons of the library system will have the option to bring in canned goods to pay off library fines. Not only will you be getting rid of some fines, but you will be helping your neighbor, too. During National Library Week (April 7 - 13), every branch of the Rutherford County Library System will be collecting food donations. All donations will go to the Nourish (Rutherford County) Food Bank. 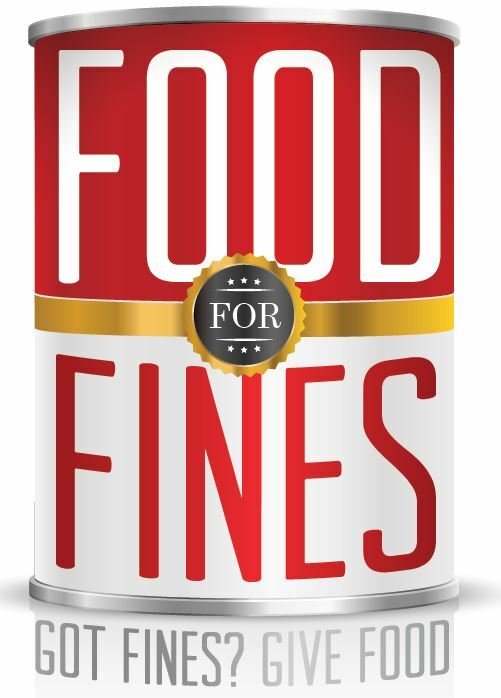 Bring your canned goods to front desk, and staff will waive your fines for overdue items. Charges for lost or damaged items or referral fees cannot be waived. Each can donated will waive one dollar in fines. Please bring only new, unopened cans within expiration date. No fines? You can help out and make a food donation anyway. Since Nourish Food Bank is committed to helping provide for those in need, you can be sure that donations are going to a good cause. Remember: the library is ONLY collecting canned goods for the food drive. To find out if you owe any fines, simply go to the RCLS website (rclstn.org) and login, using your library card number and PIN (typically the last six digits of your library card). Linebaugh Public Library is located at 105 W. Vine St. in Murfreesboro. Smyrna Public Library is located at 400 Enon Springs Rd. West in Smyrna. Eagleville Bicentennial Public Library is located at 317 Hwy 99E in Eagleville. MGL Library is located inside Patterson Park Community Center at 521 Mercury Blvd. in Murfreesboro. The Technology Engagement Center is located at 306 Minerva Drive. Explore, Imagine, Engage through RCLS. For more information, call 615-893-4131 or visit www.rclstn.org.